Remember Molly Vera Thompson, the six-year-old who wouldn't shut up in The Kid in the Red Jacket? 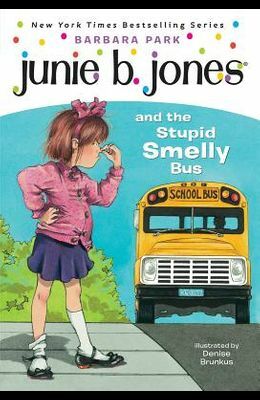 Meet Molly's clone, Junie B., who tells in her own words the hilarious story of how she gets locked in school after her first day in kindergarten. This first-chapter book is easy-to-read and set in large type to make reading comfortable for the younger set. Full color. From the front Cover Remember when it was scary to go to school? 'Cause it was your first day and you didn't know anything. Meet Junie B. Jones, kindergartner. She's so scared of the school bus and the meanies on it that when it's time to go home, she doesn't.